BOONE, Iowa – Race teams at Boone Speedway for the Sunday, Sept. 2 practice session will enjoy a pre-IMCA Speedway Motors Super Nationals fueled by Casey’s meal courtesy of Arnold Motor Supply. During the day Sunday, stop and visit the Arnold Motor Tent just west of the Pit Concession stand for a variety of different samples cooked on Treager grills. Treager grills will be on display, and are available at all 62 of Arnold Motor Supply’s locations in five Midwestern States. Pork loin sandwiches will be served beginning at approximately 7 p.m. during the Arnold Motor Supply pit party with pork provided by Berkwood Farms. 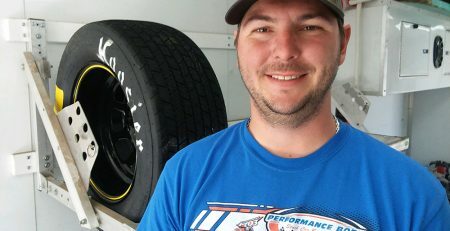 Spencer-based Arnold Motor Supply has been an IMCA sponsor in a variety of roles, most recently as title sponsor of the Arnold Motor Supply Dirt Knights Modified Tour. For a store near you, visit them online at arnoldmotorsupply.com and during the week of Super Nationals and text RACEBOONE to 41411 for daily in store specials. Berkwood is headquartered in Des Moines, is one of the largest American suppliers of 100 percent certified pure heirloom Berkshire pork, and the only farmer-owned company with national distribution. Visit them at betterpork.com.